W8168 Poertner Road Neillsville, WI. | MLS# 1520900 | Clearview Realty in Hatfield Wisconsin. Helping Hunters, Families, and ATV'ers list or buy property for 15 years. Serving both Wisconsin & Minnesota. ATV, Hunt & Camp right here! Nicely wooded 5.87 acre property with a driveway and culvert already in place. Mature oaks, some low land to hold the bucks in. Direct ATV trail access and the property borders County Land. Just minutes from Levis Mound recreational area for walking, hiking and bike riding, 800 acre Lake Arbutus in Hatfield and Bruce Mound Winter sports area for skiing, snowboarding and tubing. 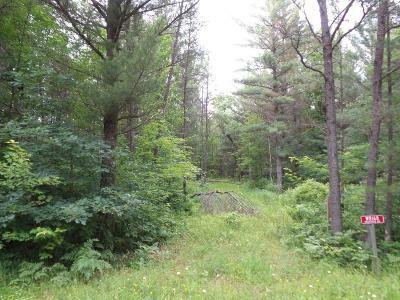 Just a great location to camp or build a cabin and have your own footprint Up North! Directions: From Hatfield Take Hwy J North Across Hwy 95. The Road Turns Into Fisher Avenue. Take Fisher Approx.